We’d love your help. Let us know what’s wrong with this preview of Up the Mountain Path by Marianne Dubuc. To ask other readers questions about Up the Mountain Path, please sign up. Up the Mountain Path is a charming little story that gently teaches the love of nature and the cycles of life. We follow old Mrs. Badger as she makes her weekly trek up to the top of Sugarloaf Peak. Along the way, she greets her friends, admires the natural beauty, and is always thinking of others. One week, Mrs. Badger notices a young cat, Lulu, is following her progress. Mrs. Badger invites Lulu to join her, and the two make the journey together. Week after week the two make the trip up the Up the Mountain Path is a charming little story that gently teaches the love of nature and the cycles of life. We follow old Mrs. Badger as she makes her weekly trek up to the top of Sugarloaf Peak. Week after week the two make the trip up the mountain, and Mrs. Badger teaches Lulu how to listen and help and soak in the beauty. Eventually, Mrs. Badger can no longer make the trip and Lulu starts going alone and bringing souvenirs of her trip back for Mrs. Badger to enjoy. Until one day when Lulu notices a young rabbit is following her progress. And so the cycle continues. The illustrations are sweet and the story can be read with an emphasis on several different aspects (the love of nature, the cycle of life, enjoying the journey, etc.). This is sure to be a favourite for some little ones. I've enjoyed it enough that I plan to get a copy in the original French to add to my personal collection. Oh my goodness, this book. It guides you along the way Mrs. Badger guides Lulu the little cat up the mountain path to the top of Sugarloaf Peak with gentle encouragement, the right tools, and wise words. Mrs. Badger is someone who loves to walk and experience the world, and to share that with others. And when Mrs. Badger can no longer make the trek, Lulu carries on the tradition, and shares that too. "Mrs. Badger is also a poet." What a beautiful book/story!! The illustration are good but nothing extraordinary, a bit too soft for my liking, but anyway the story and the message it have is so beautiful and deep. It's a story of life. It talk about sharing, time that goes by, aging, teaching, the beauty of nature, the cycle of everything. Really and extraordinary book for children and adults too! All the feels for this gorgeous little book, it covers so many themes, including; friendship, ageing and the importance of choice. Highly recommended and very very charming. An utterly brilliant book of complex themes around friends, ageing, life choices and landscape. An elderly badger introduces a little (and immensely cute) cat to the walk up the mountain and perspectives change, lives grow... If ever you need a life-affirming book that is charming, poignant and beautiful - or want a book to demonstrate how picturebooks are deceptive in their simplicity - this could be the one. In het voordeligste NH Hotel in Amsterdam-Centrum word ik midden in de nacht wakkergebombomd door Na het diner met negen Engelstalige uitgevers, dat door uitgeverij Querido en het Nederlands Fonds voor de Letteren is georganiseerd, zou ik nog naar Antwerpen kunnen rijden, maar ik doe het niet. Ik overnacht in Amsterdam. Tijdens mijn wandeling naar het NH Hotel dat ik heb geboekt kom ik min of meer tot rust. Moeilijk, al die stemmen van uitgevers en boekenmensen en collega-schrijvers in je hoofd. In het voordeligste NH Hotel in Amsterdam-Centrum word ik midden in de nacht wakkergebombomd door mijn bovenbuur. Hij of zij heeft om drie uur ’s nachts nog het een en ander te regelen. Hij of zij doet het met schoenen aan en heen en weer. Ik overweeg een tijdlang om een verdieping hoger op een deur te gaan kloppen, maar ik doe het niet. Ik pak ‘Boven op de berg’ van Marianne Dubuc uit mijn bagage en ik concentreer me op de eerste bladzijde van dit kleine prentenboek. Het gaat goed, maar niet helemaal. Mijn bovenbuur bombombomt door kamer 344. Ik weet precies op welke deur ik zou kunnen gaan bonken, maar nee, ik lees het boek van Dubuc, en ik wil ondertussen wel weten wat Mevrouw Das van plan is. Ze neemt een kat die Kiki heet mee op sleeptouw naar iets wat hogerop ligt en het Suikerbrood heet. Ondanks de bovenbuur en ondanks het nachtelijk uur moet ik dikwijls glimlachen. Het tedere verhaal van Dubuc is precies wat ik nodig heb, daar in bed, met het drukke gebombombombom boven me. Een dag later (nu ik dit schrijf en het vervelende lawaai van kamer 344 allang achter me heb gelaten) weet ik nog beter dan eerst waarom ik ‘Boven op de berg’ een fijn, klein prentenboek vind. Ik zou minder tekst willen, dat staat vast, dus moet je de tekst zeker niet als voorleestekst zien. Lees de tekst als volwassene vooraf, en vertel daarna vooral zelf wat je ziet en belangrijk vindt. Hoe beter je Dubuc begrijpt, hoe dichter op je huid dit prentenboek zal zitten. Lees, herlees en interpreteer en maak je eigen tekst bij de beelden. Hoe het verder is afgelopen: ik weet dat ik ‘Boven op de berg’ op mijn nachtkastje heb gelegd. Ik heb nog een tijdlang naar mijn bovenbuur geluisterd en gedacht: het is zoals het is, en na een tijdje is het verhaal van Mevrouw Das en Kiki overgegaan in de te korte nacht. 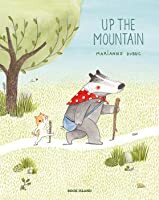 Each Sunday Mrs Badger walks up to the top of the mountain, a place where she has learned about the world and made friends with animals along the way. One day, Leo the cat spots Mrs Badger, and, regardless of his personal fears, is given the courage to join her on the journey to the top. 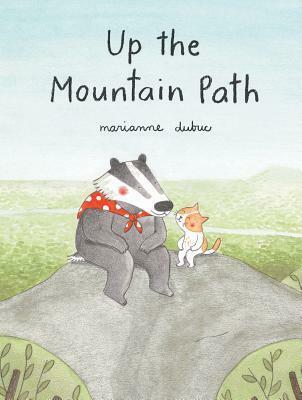 Dubuc tells a story that is more than just Mrs Badger’s walks up the Mountain alongside Leo, it speaks of learning, friendship between generations, and moments of physical and internal change. This is a truly bea Each Sunday Mrs Badger walks up to the top of the mountain, a place where she has learned about the world and made friends with animals along the way. One day, Leo the cat spots Mrs Badger, and, regardless of his personal fears, is given the courage to join her on the journey to the top. 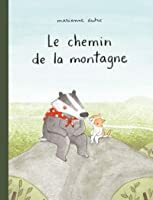 Dubuc tells a story that is more than just Mrs Badger’s walks up the Mountain alongside Leo, it speaks of learning, friendship between generations, and moments of physical and internal change. This is a truly beautiful book. I was so touched by the sweeping scenes as the two animals absorb the endless landscapes. A real moment for reflecting upon the enormity of life itself. Mrs Badger describes herself and Leo as being as, ‘Small as a speck of stardust’; such a stunning line, and one that would speak differently to each reader. When coupled with the limitless streams of nature, it is the bond between the two characters that shines. I picked this up in Dublin at Books Upstairs (best bookshop in the world!) intending to bring it back for my niece. But when I read it, the book was so perfectly attuned to what I needed that I burst into tears. So I'll be keeping this copy and getting another for my niece. As soulful a book as there can ever be. Another gem by Dubuc! Charming, gentle, beautiful and just a little sad. A lovely calming, nature read for younger children. Touches on the theme of losing strength and slowing down towards the end of life, but remains uplifting by showing how life goes on (in a cycle) and knowledge and experiences can be passed on and shared again. Beautiful illustrations keep the flo A lovely calming, nature read for younger children. Touches on the theme of losing strength and slowing down towards the end of life, but remains uplifting by showing how life goes on (in a cycle) and knowledge and experiences can be passed on and shared again. If I knew a reader had the patience to endure my presence and we walk through this delightful story together then I'd write a far greater wealth of words about this picturebook. French Canadian, Dubuc again presents us with an endearing story about friendships between different species and shows us an intimate and carefully-paced story of a friendship whose tenets will pass on through generations. 'Mrs. 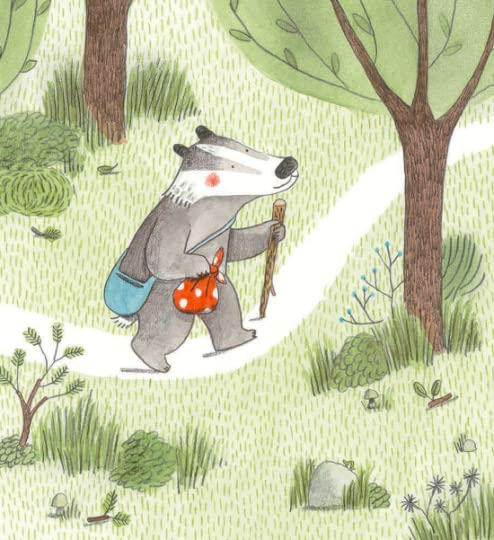 Badger is old' but living a frugal life that involves plenty of walking and spending quality If I knew a reader had the patience to endure my presence and we walk through this delightful story together then I'd write a far greater wealth of words about this picturebook. French Canadian, Dubuc again presents us with an endearing story about friendships between different species and shows us an intimate and carefully-paced story of a friendship whose tenets will pass on through generations. 'Mrs. Badger is old' but living a frugal life that involves plenty of walking and spending quality time with those she meets along the path: she is wise and well-loved. As she walks up a small mountain one day she find herself followed by a shy, inquisitive cat (it's in his nature after all) named Leo. Together they bond as Mrs. Badger shares with Leo her understanding of the natural world and models how to tend to it, live within it and appreciate it. A beautiful, inter-generational story of love, kindness and inner peace and one which, perhaps, touches on the idea that we can enjoy life by simply giving time to that which has always been free to all of us. Up the Mountain is tender as is it true and is held together by Dubuc's colour-pencil and watercolours and Ardizzone's enviable translation skill. I am interested in a few things! This is a beautiful story about the circle of life, friendship, learning from elders, and enjoying life and nature. Each Sunday Mrs Badger walks up to the top of the mountain, a place where she can sit and see the world, Along the way she makes friends with various animals and helps when she can. One day, Leo the cat spots Mrs Badger, and, even though he is afraid and doesn't think he can make it, Mrs. Badger helps him reach the top. The journey repeats itself every Sunday, until Mrs. Badger is This is a beautiful story about the circle of life, friendship, learning from elders, and enjoying life and nature. Each Sunday Mrs Badger walks up to the top of the mountain, a place where she can sit and see the world, Along the way she makes friends with various animals and helps when she can. One day, Leo the cat spots Mrs Badger, and, even though he is afraid and doesn't think he can make it, Mrs. Badger helps him reach the top. The journey repeats itself every Sunday, until Mrs. Badger is too tired and can't make it anymore. When Lulu heads up the mountain alone, she brings back items and stories to Mrs. Badger. Eventually, she meets a reluctant friend and the tradition continues. Such a darling book that hits on so many important themes, such as; friendship, conservation, sharing, nature, death, aging, kindness and healthy habits. I loved everything about this book from the beautiful illustrations to the tender and sweet story. This book will aid in creating dialogue with children about all the themes listed above. It will become a cherished book for everyone in the family. A very special story that is meant to be shared. A truly heart warming book about friendship and exploring the beauty of our world. What a joy to read! Wow, what a story about nature and the passage of time and there's even a squirrel named Doris. Exquisite illustrations that captivate and a message about sharing and caring. "Up the Mountain Path" is a wonderful children's story that show not only the idea of passing the torch but also a love of nature. Mrs. Badger is a sweet old badger who is always willing to help others and when she comes across a young cat named Lulu she becomes her mentor. Mrs. Badger teaches Lulu all about nature and helping others as they climb to Sugarloaf Peak every Sunday. As time goes on Mrs. Badger becomes to weak to make the trips. 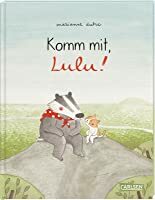 Lulu starts to go by herself and begins to explore new "Up the Mountain Path" is a wonderful children's story that show not only the idea of passing the torch but also a love of nature. Mrs. Badger is a sweet old badger who is always willing to help others and when she comes across a young cat named Lulu she becomes her mentor. Mrs. Badger teaches Lulu all about nature and helping others as they climb to Sugarloaf Peak every Sunday. As time goes on Mrs. Badger becomes to weak to make the trips. Lulu starts to go by herself and begins to explore new paths eventually finding a young rabbit to teach. This was a beautifully written story and I love the idea of mentoring a young person to then "pass the torch" to them. This story also shows a love of nature and helping others. I read this to my 8 year old brother, after reading it myself, and he loved Mrs. Badger. He also, like myself, loved the pictures. I think this is a great story to read to young children. Every Sunday, Mrs. Badger walks to the mountain peak. Along the way, she greets her various animal friends and finds gifts to give others later. She helps anyone who needs it too. When a young cat asks to share Mrs. Badger’s snack, she invites the cat along to the mountaintop. They need to find the little cat her own walking stick and take breaks along the way, but the two eventually make it to the peak. They enjoy one another’s company and the trip so much that they continue to make the trek to Every Sunday, Mrs. Badger walks to the mountain peak. Along the way, she greets her various animal friends and finds gifts to give others later. She helps anyone who needs it too. When a young cat asks to share Mrs. Badger’s snack, she invites the cat along to the mountaintop. They need to find the little cat her own walking stick and take breaks along the way, but the two eventually make it to the peak. They enjoy one another’s company and the trip so much that they continue to make the trek together again and again. Eventually, Mrs. Badger grows older and has to be the one taking breaks and finally she can’t make the trip any longer. The cat continues to make the walk, finding her own young animal to mentor on the way. This gentle picture book has such depth to it. Mrs. Badger is a fabulous character, exhibiting deep kindness and thoughtfulness for others. She knows everyone she encounters on the walk and makes connections easily. She demonstrates how to make and keep friends with all of her actions. This becomes even more clear as she walks with the young cat, teaching them how to make the long climb to the peak. 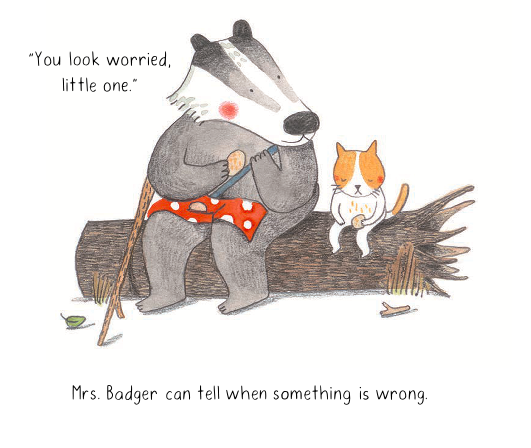 The book can be read as a metaphor for life but children can also simply enjoy the story of the friendly badger and a young cat who become friends. Dubuc’s illustrations move from full pages of images to smaller unframed pictures that offer a varied feel throughout the book. She makes sure to have a special feeling when the characters make it to the mountaintop. The vista is striking but it is the journey itself that makes the book sing. Attractive use of spacing. I thought it was a little confusing that some characters had human names and some are referred to as the name of the animal. The theme is handled more elegantly and succinctly in Elisha Cooper's Big Cat Little Cat. The details about hiking are cute but unnecessary to the story. An enchanting story displaying the appreciation of nature, as well as co-existence among many different species - this could perhaps be used in the classroom to illustrate how children can 'get along', despite any differences they may be perceived to have. I think I need to start a shelf of 2018 Picture Books that Made Me Cry. THE YEAR OF POIGNANT PICTURE BOOKS. What a beautiful book and a guide to mentoring or coaching or encouraging someone. Up the Mountain Path gently shows children (and us) how to share, teach, learn, friendship and changes with age through the 'circle of life'. "It must be incredible to be at the top of the world!" "Oh, it makes you feel really small." . . .
. . . "Small as a speck of stardust shimmering on the morning dew." A very long story about Mrs. Badger's journey up the mountain. The pictures and words are small so it would make a better one-on-one story. Gentle story about passing on a value and love of nature and our fellow beings. It’s about appreciating the small things in life and occasionally being brave enough to follow an alternative path and making friends. Such a beautiful story. I got worried at the end though! I'm glad it ended differently than I feared.